Hello there blog readers! You might have noticed that it’s the first time that I have written a blog post in several months. There are a number of reasons for this, however, the catalyst was the plethora of technical problems I experienced whilst I trying to make my blog a bit fancer. With the infinite wisdom of a person with zero technical prowess, I broke the beast. It took me ages to get it up and running again. It broke my mojo. I wondered what to write about with so many people telling you what to shop for and what to buy. Who is reading this? Why mine and not another one? And then a few things fell into place. Over the last few weeks, through messages, conversations, bloggers lunches and events, it became apparent that people were feeling unnecessary pressure to buy new clothes, mostly due to Instagram and the constant new clothes on display on a daily basis. New outfit of the day. Every day. As you scroll through the thousands of squares, your brain unwittingly screaming. Want that one. Need that one. Buy that one. One more item, and then I’ll stop. But you don’t. It’s too easy to whip out that credit card, use your holiday savings. Cancel that dinner with your friend. All in the name of that new dress, which people will like the first time they see it. And probably not the next time around, taking the shine away of that item you just had to possess with a demonic and feverish desire. At the start of spring, I had a clear-out. Around 10 bags of clothing went to the charity shops. Admittedly, they weren’t all mine. There were some of the children’s clothes too. After all, they grow. Like Weeds. However, upon returning from our holiday this summer, switching from my summer to winter wardrobe, I was hit with the realisation that the amount of clothes I have is creeping up and becoming greater than the amount of storage I have. Worse, some items have been worn no more than once or twice. Not justifiable to discard like the plastic bottles that are polluting our seas. At this point, I have to add that I am pretty good at keeping my wardrobe updated with new trends with fewer items that you’d expect. Perhaps because I’ve worked in production, product development, and buying, I have always selected items which will carry over to the next seasons, because we work a year in advance. Perhaps I’m just a hoarder. But, I have definitely fallen prey to buying more than I need over the last year. 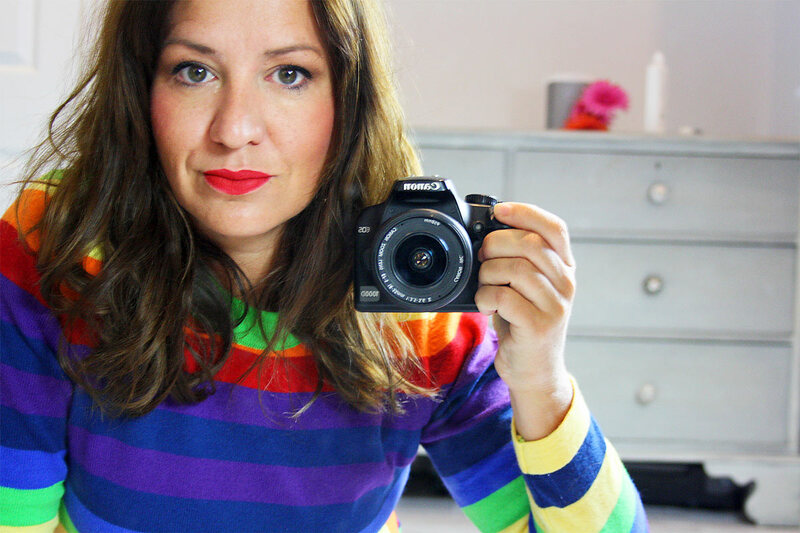 So, whilst planning my wardrobe AW18/19 a little more responsibly, I decided to share my wardrobe journey on my Stories. And I received loads of messages asking me to save it to highlights, telling me how it would save them money and help them shop. So here we are, back to blogging, but with the focus to help you shop more responsibly. By understanding the trends and colours of the season, you can buy with a renewed focus. According to pantone.com, these are the top colours for AW18/19, with the addition of the two London colours Mellow Rose and Pink Peacock. London we love you, you are a hero. The colours seem brighter and more diverse than any other AW season before. Adding more scope for us to work those wardrobes and keep working them for seasons to come. Now go to your wardrobes and find anything in any of these colours. They don’t have to be identical. Although these colours are the top colours given by Pantone, you can expect variations. When planning and developing a range, the fashion teams are working approximately a year to eighteen months in advance. In the long-range forecasts, around fifty colours are forecast in a variation of these colours and they are only whittled down and finalised when the fashion weeks have happened. As the fashion weeks are a little late for longer lead-time clothing (like knitwear or anything in certified yarns), buyers and developers need to select their own versions of the colours from the long-term forecasts to start dipping swatches and yarns. All fabrics absorb dye in a different way and the buyers will need to ensure that certain yarns are selected and approved for dyeing or it will not hit the target delivery dates and phases. Find items that will look good with these colours. Are they bottoms, are they tops? What are you missing to pull these items together? If you have skirts and trousers, then you need to focus on tops and blouses. Do you need a coat or a handbag to pull it all together? Look for these colours in your florals to help you choose your new coat or blazer. Write down the top three missing items that will work with your existing wardrobe in these new colours. What are the emerging trends you like the most? We already know that that Animal is having its most frenzied momentin fashion history. If your current wardrobe works better with Sargasso Blue than Meerkat, perhaps you need to look for a zebra or a grey or a coloured based animal print if this is the trend you hanker to wear. Admittedly leopard is popularly professed to bea neutral and will work well with many of your jeans and blacks and neutrals, but resist the temptation to overbuy. Do not buy three items in leopard. Although the trend has been going strong for several seasons, this season’s effusive and overzealous passion for it, in my opinion, means that the love for it will wane. Imagine eating your favourite chocolate fudge cake every night for 6 months. There is a strong possibility that you might not want to eat that chocolate cake for a long time. If ever again. If the market is saturated, designers will move on to the next thing. That is the nature of fashion. And this goes for every big trend. Pick carefully, don’t pick too many. Trends move on. Leather dresses. This may not be everyone’s cup of tea, opt for skirts, coated jeans or trousers. Leather jacket perhaps? Suits. Does it suit your lifestyle enough to justify the spend? Or can you take your favourite pair of trousers and match it to a blazer? Don’t be afraid to cross over into other textures, this could well give you an edgier look. Capes. Before you go out and splurge on a trend which may not have longevity, consider wearing one of your oversized coats over your shoulders. Does a similar job. Silver is set to be the metallic shade of the season, whether it’s sequins, a knit or other shiny metalised fabrics. Off White will be strong. For winter, yes. A scary one for me, I always get food all over myself, but fear not, there will be plenty of prints on off-white bases. Tofu, although it looks a little grey in RGB (screen colour) can be expected to be seen in textile as the off-white colour. Tweed, checks and tartans. Keep those check blazers. It’s a good one to look for in charity shops too. Pleated skirts. Hurrah. We all have some of those. Go check which colours you have and where they sit with the AW18/19 colours. Silk prints and hanky hems. Again, do not over-invest. Buy it as a nice scarf instead. Buy a dress if you absolutely love it, and you don’t need other things more. Logos and slogans are still around. Step up the layering. This one is amazing for the colder months. You don’t need to buy a thicker coat, just wear two thinner coats on top of each other. 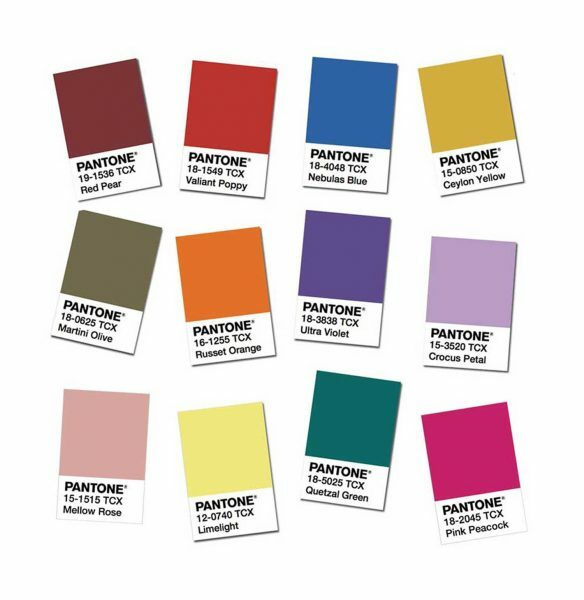 The other brilliant news is that the Spring19 colour forecasts are in good synergy with the Autumn colours. If you avoid buying too many bulky, heavy, winter-specific garments, you may be using them into the next year. Mix your patterns and play around with textures. Wear tonal colours in different textures and add a pair of shoes in a different colour. I could cover key print trends and how patterns will evolve, but this post will be far too long. I will endeavour to cover those in the subsequent posts when I cover each colour. You don’t need to follow all these trends or be led by all of them. Instead, use them as a guide. An inspiration to find your own style. Work with what suits you, not what looks good on others. And importantly, only buy items that work with several items in your wardrobe. If you need to buy something to go with it, then it’s not the right item for you. I have set myself the target to buy only three things per month. This means I can buy a few key items, but stops me from buying too many new things, over-filling my wardrobe. I have invited followers on Instagram to do the same and share their favourite new purchases with the hashtag #3itemspermonth. You can you still buy that dress you have seen on your favourite blogger, but you might take a little more time to consider whether its the right item for you. To avoid this blog post becoming too long and you losing the will to read, I will break it down into a series of blogs, grouping colours and ideas together. This season you can expect to see colour combinations that are not usually seen together, a chance to be a little bolder and more creative with your combinations. I will be scouring the shops and the internet, putting together looks that will help you work your current wardrobe to avoid buying too many things that we need. I have had requests to style Limelight, a colour that seems to frighten a few people. Yes, me too. A jaundice look for many of us guaranteed. If you have any requests, combinations you would like to see or opinions on colours, please send me a message and I’ll incorporate it into the series. I will also look at Spring Summer colours to help you identify the items you can carry over because it could help you with your decisions on what to buy now. I will do these quickly to help you with your focussed shopping, so any comments or requests, please leave me a comment. Happy to be back, why haven’t I done this sooner? So glad it’s helping and getting so much positve feedback from people makes me very happy! I loved reading this blog. Due to a change in circumstance I no longer able to buy clothes with my previous frivolous abandon. While I know this is a good thing, it’s difficult to know where to go for inspiration & information…. and here it is. Thank you. I look forward to reading your future blogs. It has been the same for me for a while when I gave up working in my fashion role. I’ve been missing the work and the abundance of clothes, even though I’ve always bought fairly sensibly. But there is no need to buy new stuff if we know how to work those items we have. Next blog hopefully done by today!